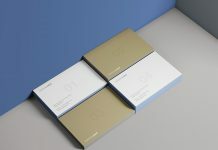 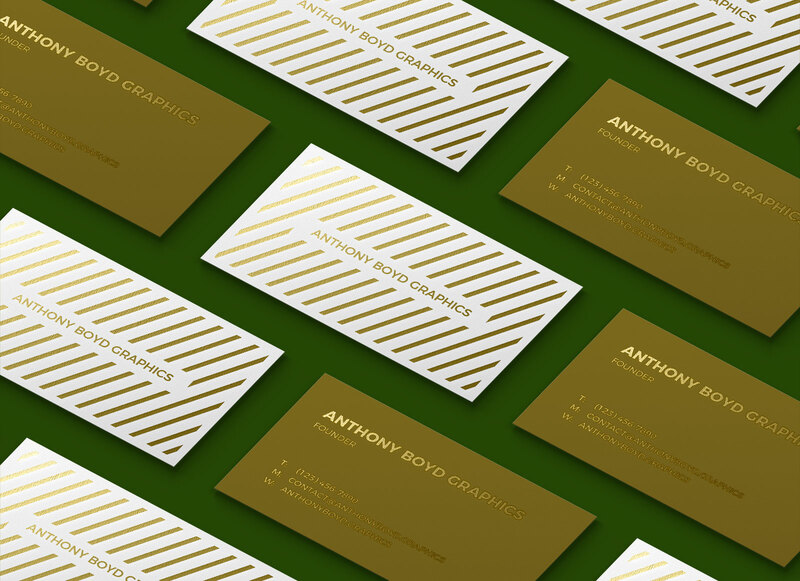 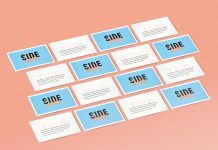 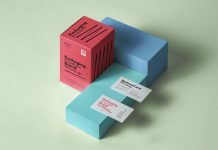 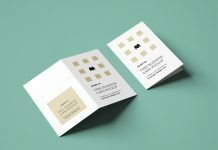 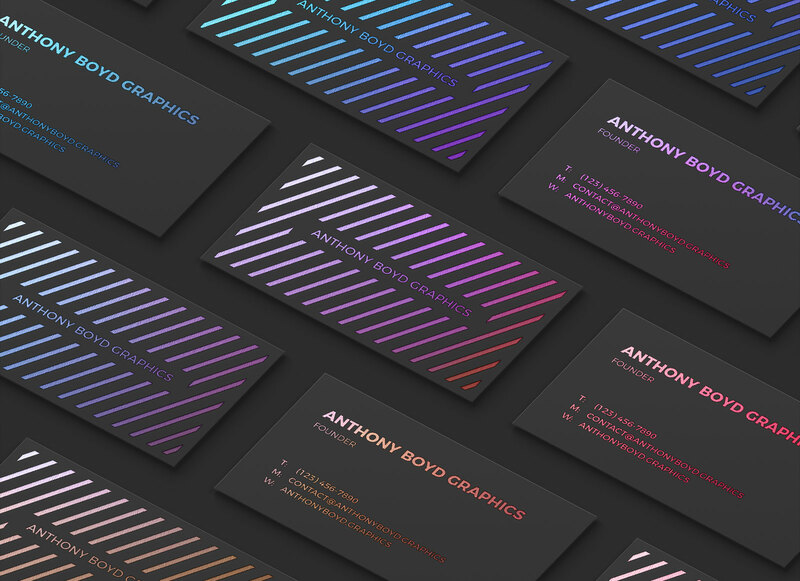 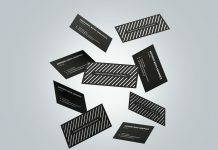 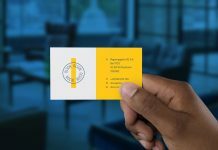 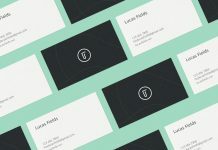 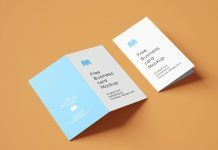 A fully customizable front and backside business card mockup designed by Anthony Boyd graphics. 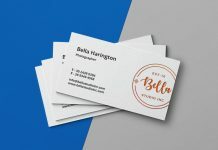 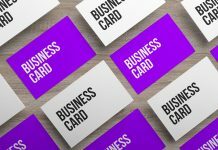 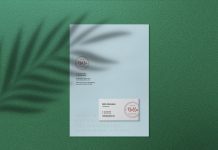 In this psd file you can change the foil color, based color of business cards, background color by applying fill on adjustment layer. 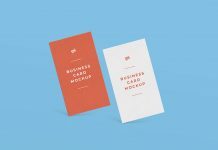 Easily place your artwork and prepare your presentation in no time.